Watching a kid light up with enthusiasm for a new interest totally rocks. You can almost see those synapses firing away as they connect all the dots, right? And those funny “faces” you can design on a stuffed tomato with pins —priceless! It is a little thing, yet not. A bit of fabric. Some thread on a spool. A machine that stitches the pieces together. Someone to help guide you in the process. Added all together; magic. I have so many reasons I love to teach sewing. Their names are Helen, Gabby, Devon, Leah, Mavin, etc. Well, color me surprised! Actually, “astounded” would be a better word choice. 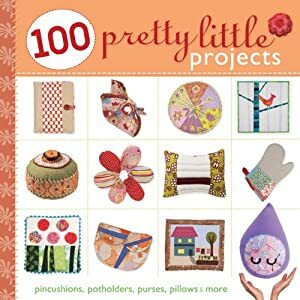 I won a copy of 100 Pretty Little Projects that was featured on the BurdaStyle giveaway on December 6th! I feel so lucky and excited to get my hands on this new book. I have been dreaming of having enough time to make some small, simple projects, and this post caught my eye AND my heart. Hmmmm. I bet I really need to follow thru and make hand-stitched biz card holders with antique kimono fabric now, huh? Maybe some little coin purses too? Probably post the pictures on Burda Style? Yep, that’s what I think I need to do now very soon. Thank you so much Burda – I truly appreciate winning and can’t wait to dive into this darling book!! More project ideas! Are you a holiday Scrooge or a busy elf? Tis the season when many women drive themselves crazy by doing and overdoing to create a “perfect” holiday experience for their families. One where every morsel of food is made from scratch, the house decorations would turn Martha Stewart pea-green with envy, and every perfectly wrapped present has been lovingly handmade. How about you this year? 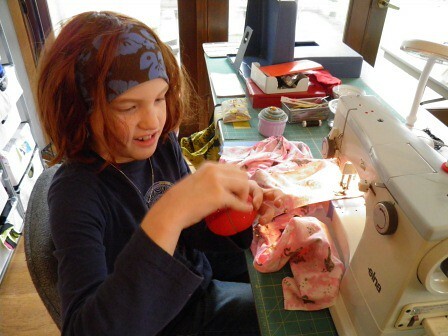 Are you sewing until the wee hours of the night for everyone on your list? As your “to-do” list empties, are you just adding more and more tasks? Did the 3 pairs of pajama pants turn into 3 matching sets of pajamas, robe, and slippers? This year I want our holiday to be about a little less. A little less craziness. A few less cookies. A few less commitments on the calendar. 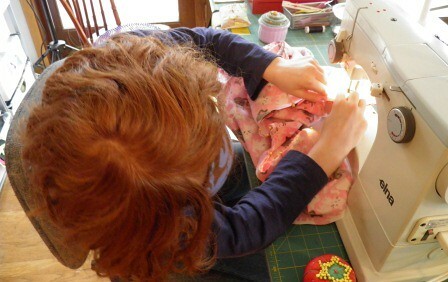 I am yearning to do some slow sewing, some of it by hand. I’d like to design some useful and beautiful items using interesting fabrics combined in unusual ways. 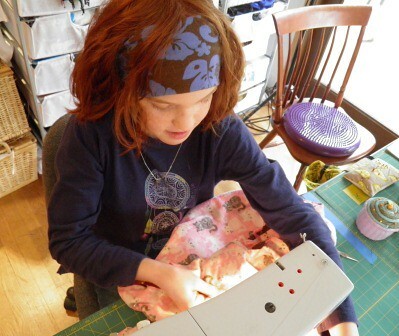 For that kind of sewing I need plenty of good blocks of open time and the brain space to visualize and create. What will make your holiday season special this year? Whatever you need, I hope your wishes come true!